The film reveals the hidden agenda of the nuclear industry in Africa and the alarming consequences for people and the environment. In collusion with corrupt governments and questionable business partners energy companies source uranium for their domestic markets. And – faced with an apparent "sales problem" of nuclear technology in the Western world – they also lobby African governments to buy nuclear power plants. Otherwise well informed high-level decision makers in Africa seem oblivious to the risks of nuclear power. They happily welcome the prospect of a seemingly endless, cheap and clean energy source. And their national pride is fuelled by the fact that the radioactive raw material for the new reactors doesn't need to be imported from other countries – it's hidden in the African soil. Anti-nuclear activists in Africa are intimidated, persecuted and sometimes killed. In this film, critics of the nuclear industry speak out against the injustice and reveal the dubious activities of nuclear enterprises - from the illegal exploitation of the mines in the Congo to the controversial mining operations in the Sahara region. 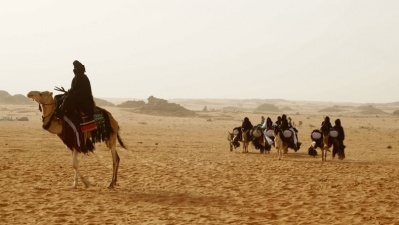 We travel through the desert on the "Uranium Highway" and show how the current war in Mali is related to fifty years of uranium mining that have destroyed people's livelihoods and pushed them into the hands of Al-Qaeda terrorists. 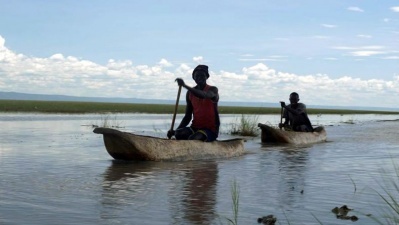 The film shows the dilemma of the African continent: It desperately needs cheap and reliable electric power for its development - but instead of being able to use its own resources, Africa is forced to sell off its riches to corrupt multinational enterprises. 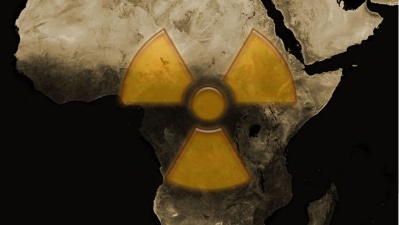 The sobering conclusion: In the future, African governments will need to give up their unrealistic nuclear ambitions and develop appropriate technologies to free themselves from their technological dependence on Western enterprises.